To my beautiful biological 14 year old son it means a sibling, someone that will be with him no matter what, someone he can share laughs with, secret anecdotes of family, someone to hold memories with long after parents are gone. To my fabulous husband whose commitment to his country took him far away from home missing many of our son’s milestones. He would cherish the chance to do it again and maybe be there for more memories. 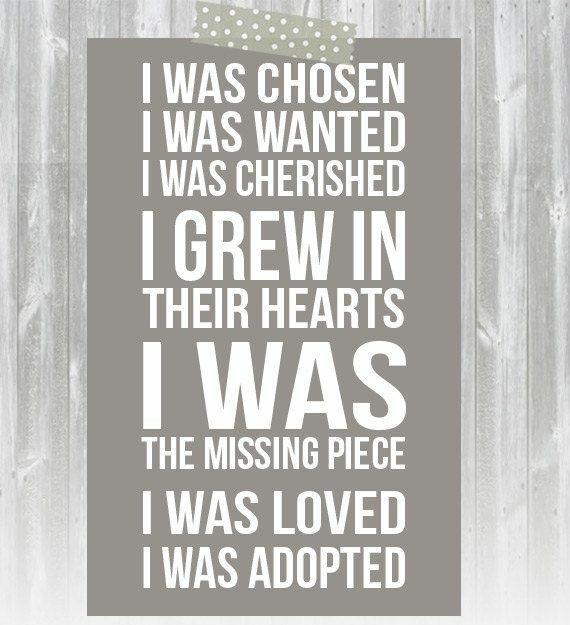 For me, hmmm, I guess for me adoption would mean filling up an unexplainable and indescribable part of a generally wonderful loving family. You know, that feeling when you are blissfully happy and you still think something is missing. In early 2013 we all realized that SOMEONE was missing. If you have a question we can answer about the process as we document our journey, please leave us a message. If you have a question of us or want to give us some encouragement we would love to hear that too.